Far from any present-day sea shore, saline wetlands are hanging on for dear life in eastern Nebraska. 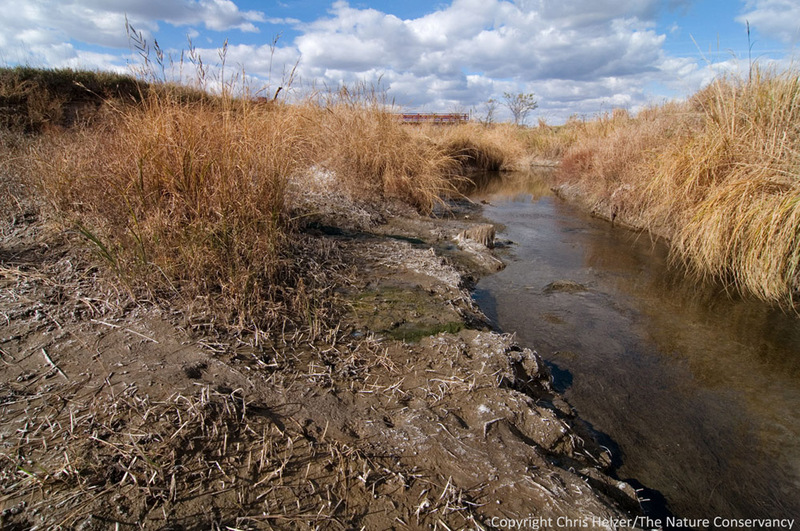 Fed by saline groundwater – through a process not yet completely understood – saline wetlands are a unique natural community in the middle of the western tallgrass prairie. However, because of urban expansion and alteration of hydrologic systems, their future is far from certain. 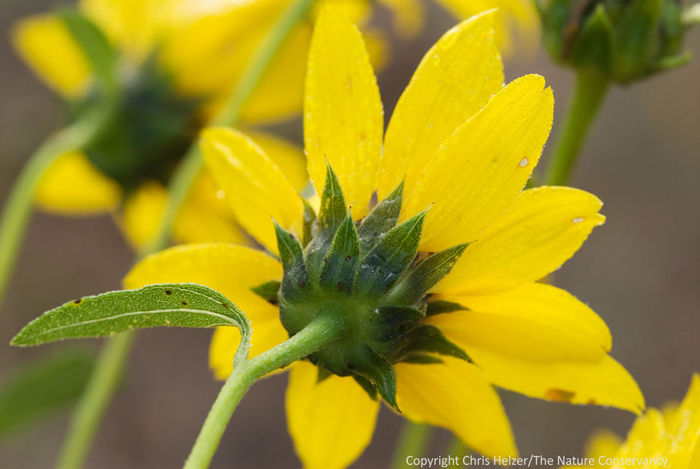 In 2003, The Nature Conservancy helped form the Saline Wetlands Conservation Partnership as a way to work collaboratively among organizations concerned with preserving the last remnants of Nebraska’s saline wetlands. Most of those remaining wetlands are located in or around the city of Lincoln, with the rest just across the county border to the north. As the city expands, the threats to the wetlands increase. 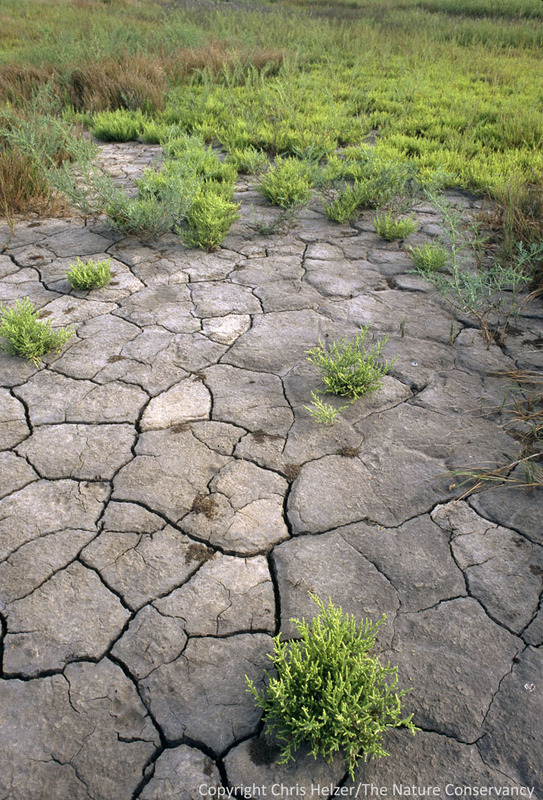 Meanwhile, scientists are still struggling to understand exactly why and how the saline wetlands became salty – and, more importantly, how or whether that process can be sustained into the future. I stopped by the Conservancy’s Little Salt Fork Marsh Preserve last week. Here are a few photos from the site, along with some background on the ecology of eastern Nebraska saline wetlands. What looks like sand is really a crust of salt that formed across a “salt flat” at the Conservancy’s Little Salt Fork Marsh Preserve. 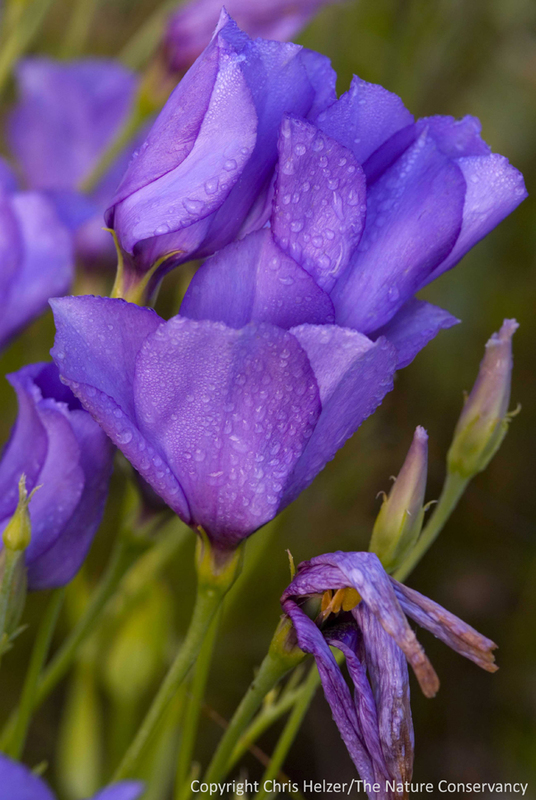 When the wet soil dries, the concentration of the salts becomes obvious. The houses in the background are an increasingly familiar site along the boundary of the remaining salt marshes. 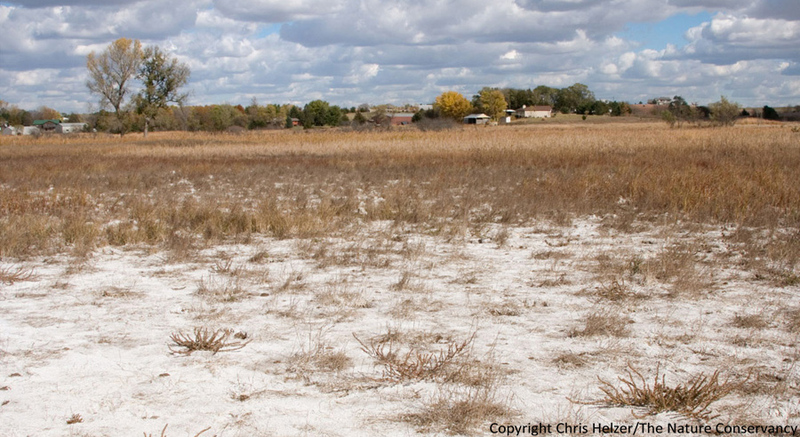 The current and future impacts of the houses, roads, wells, and other associated developments on the hydrology of the saline wetlands are not well understood. 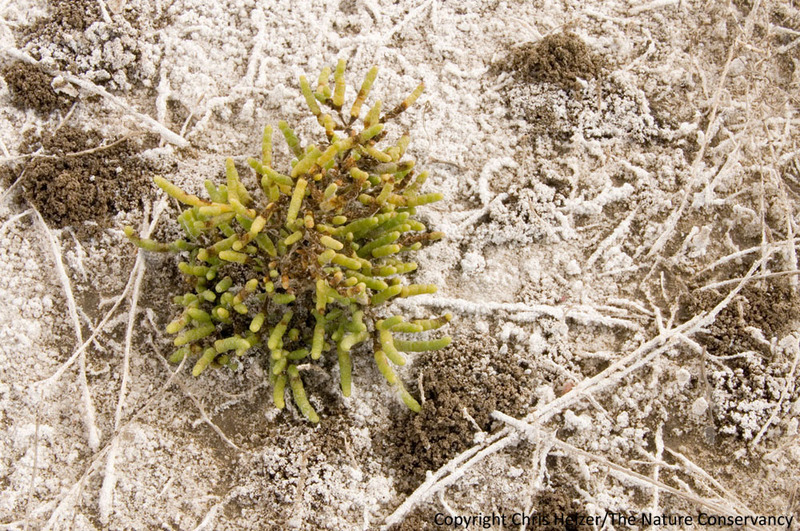 Saltwort (Salicornia rubra) is one of the few plant species that can grow in the middle of salt flats. 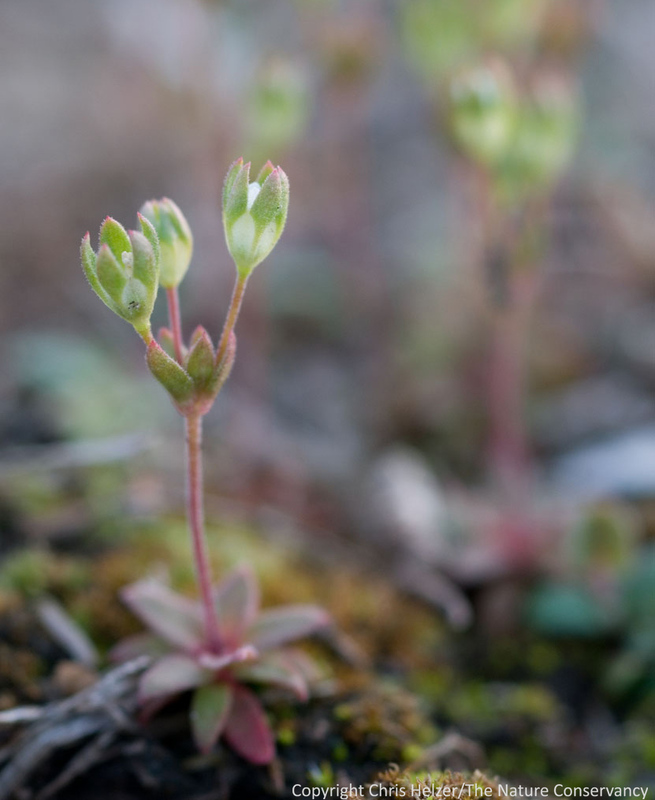 Its succulent leaves (like a cactus without the spines) help it to hold on to water even in very saline soils. 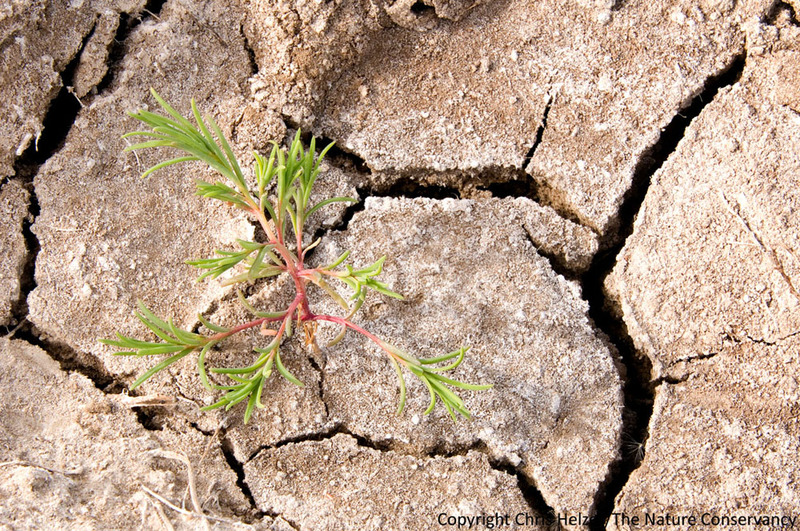 Saltwort is an annual, so its adaptation to saline soils is an important attribute that allows it to avoid competition from perennial plants. 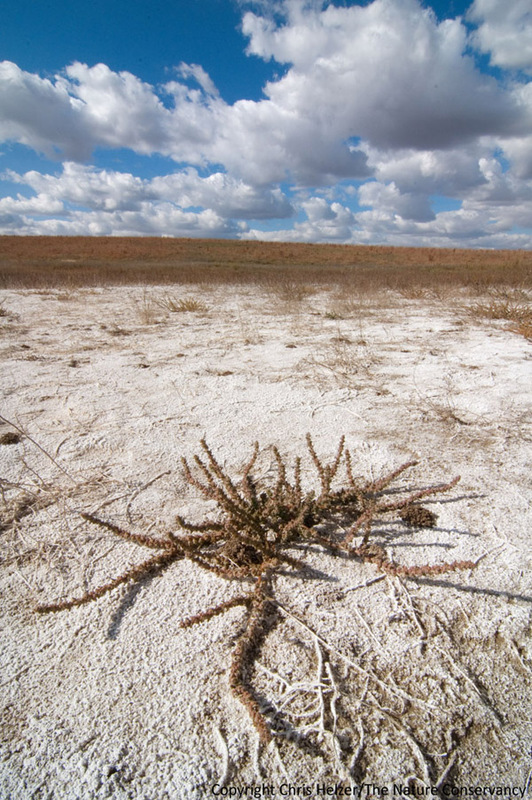 Sea blight (Suaeda depressa) is another salt flat plant. This one is growing in a shallow depression made by a cow's hoof. Grazing can be an important strategy for maintaining the open nature of salt flats and surrounding saline wetlands - and for suppressing invasive plant species. Some of the best quality saline wetlands remaining are those with a long history of private lands grazing. Hybrid cattails are one of a list of invasive plant species that threaten the remaining saline wetlands. 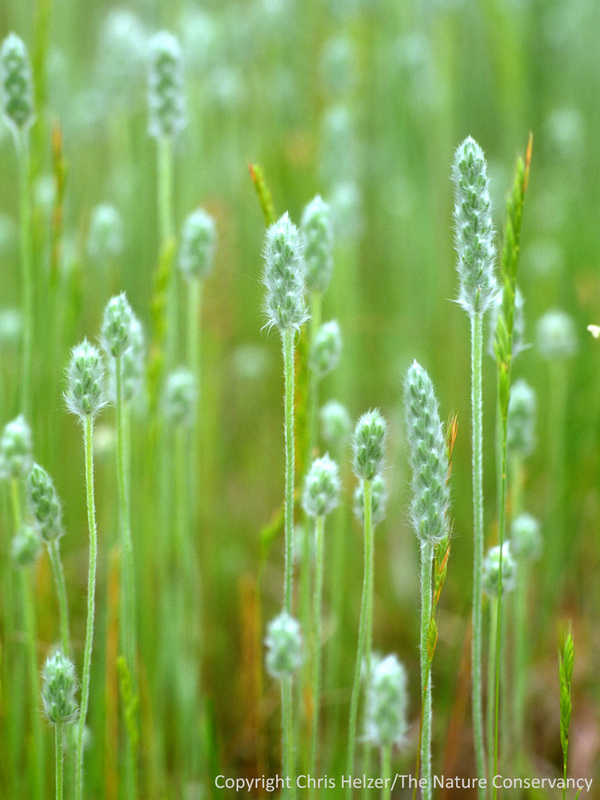 Others include salt cedar, Phragmites, tall wheatgrass, reed canarygrass, and smooth brome. 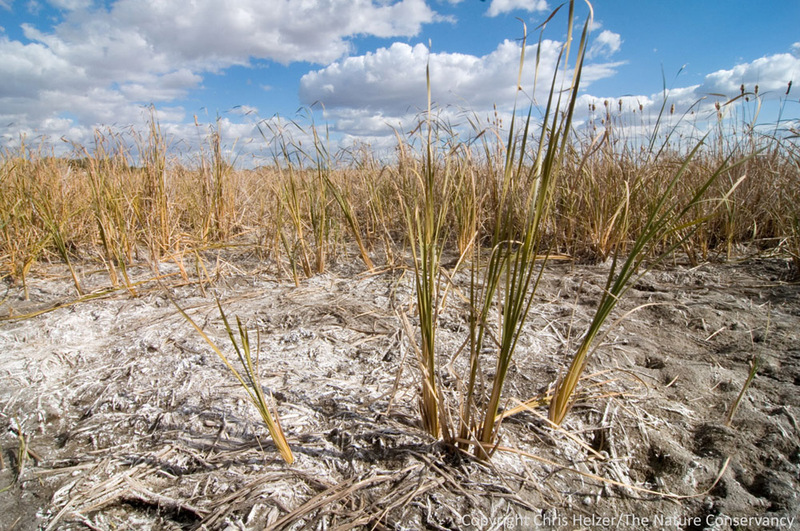 Each invasive species has its own salt tolerance level that determines which portion of the saline wetland landscape it can thrive in, but the cumulative effect is disastrous if left unchecked. Saline seeps like this one are the last vestiges of habitat still used by the federally-listed salt creek tiger beetle (Cicindela nevadica lincolniana). The known population of this subspecies is about 300 individuals - all restricted to the small area of saline wetlands around Lincoln, Nebraska. Salt flats and saline wetlands have a certain aesthetic charm, but apparently not enough charisma to generate much public support for their conservation. 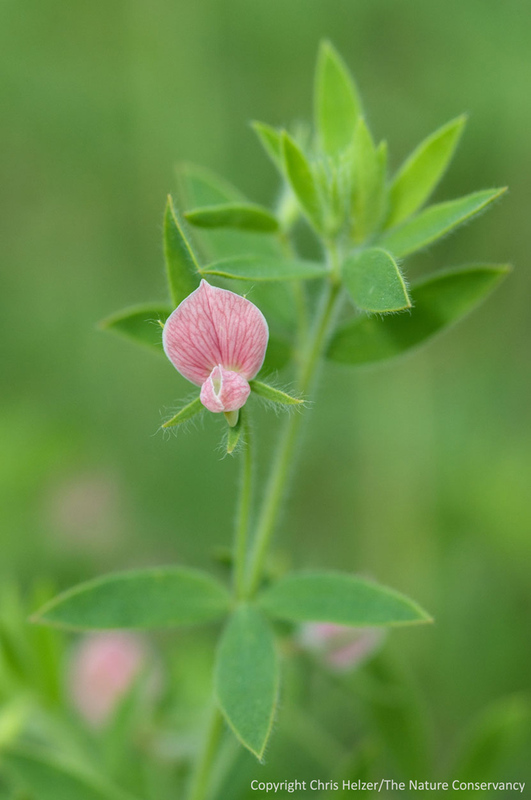 The Saline Wetlands Conservation Partnership has purchased many of the best remaining examples of the natural community, but acquisition may turn out to be the easiest step in the conservation process. Maintaining the hydrology and ecology of the saline wetlands in the face of urban expansion and invasive species will likely be much more difficult.